The European Union is now making it simpler for me to explain. The EU committee on linguistic problems has commissioned a study to quantify the number of translators authorized to interpret official documents from Romanian into Moldavian language. Moldova has strong ties to EU member Romania and Romanian passports (for EU citizenship) are often granted by Romania to Moldovan citizens. The conclusion of the study was that 95.26 percent of Romanians understand spontaneously the official language of the Republic of Moldova, the Moldavian language. Shocking to the researchers was the fact that the new Indo-European language appeared in 1990. Dumbfounded, the British researchers advanced the only plausible explanation that “Romanians have genetic intelligence and the rare talent to communicate in foreign languages.” To support this theory, the argument was brought up that 4.74 percent of the Romanian population does not show this spontaneous intelligence and is represented by national minorities like Hungarians and Germans who do not understand Romanian either. The linguistic researchers had no clue that the Hungarian minorities do speak Romanian as well as Hungarian since the Romanian government had built schools and universities over the years in which children could study in Hungarian, German, or Romanian, or all of the above. Only British linguists and bureaucracy gone wild could come up with such earth-shattering conclusions. I wonder how much money was spent on commissioning and executing the study. I would have given them the answer for free. Did anybody tell this illustrious body of EU researchers that the Republic of Moldova had been part of Romania for many years and that the majority of the population still speaks Romanian today? The Republic of Moldova did become an independent country in 1990 with its official language, Moldavian; however, this language is a dialect of Romanian. There is still a province left in eastern Romania called Moldova. The rest of Moldova had been carved out and given to the Russians back and forth during the various world war conflicts. 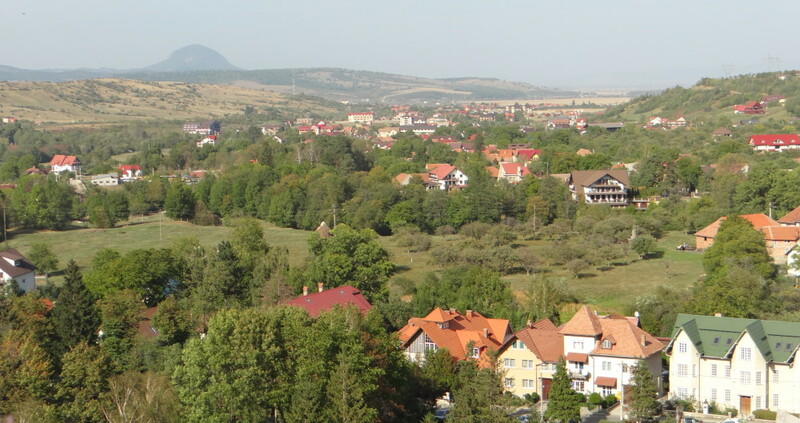 There are thousands of Svetlanas and Ivans in the Republic of Moldova who speak both Russian and Romanian. Bureaucracy has indeed gone wild and stupid. This entry was posted in Education and tagged EU, intelligence, linguistic study, Moldova by Admin. Bookmark the permalink. My attempt at satire fell flat with some readers.